Using the Drawstring Bag Project, we are going to learn how to sew a buttonhole. Read your sewing manual on sewing a buttonhole. Switch foot to buttonhole foot. Mark where and how long your button hole should be with chalk or fabric pencil. Using buttonhole stitch place fabric on your mark. Stitch according to your sewing machine directions. 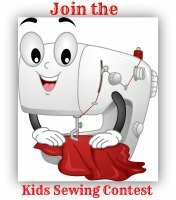 Some sewing machines sew the buttonhole with a push of a button and some require switching to different stitches. Watch the video for help. Practice sewing buttonholes on scrap fabric. Then do the following project making a buttonhole in the hem of a drawstring bag. For a shorter size bag use a 11 x 19 1/2 inch rectangle piece of fabric. Fold fabric in half lengthwise, placing right sides together. Stitch along sides of material, leaving the top open. Make a buttonhole in the center of one side about 1-2 inches from the edge. Fold edge down 1/4 inch, then 1 inch. Stitch along bottom edge. 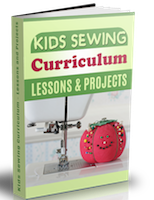 Using 1 yard of ribbon or cording, attach a safety pin at the end. Push through the buttonhole and continue pushing through to the other end. Take out safety pin and tie a knot at the end. Use bags for organizing or storing whatever you need. To project index from how to sew a buttonhole.